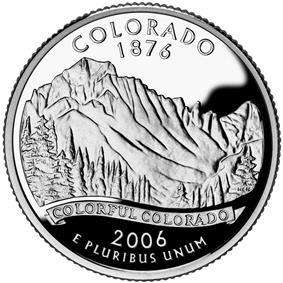 The economy of the US state of Colorado according to The Bureau of Economic Analysis gross state product estimates for 2008 was $ 248.6 billion. 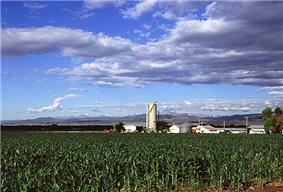 The Colorado economy ranked 20th largest in the United States in 2008. Per capita personal income in 2003 was $34,561, putting Colorado 8th in the nation. The North American Aerospace Defense Command (NORAD) and United States Air Force Academy are based in Colorado Springs; National Oceanic and Atmospheric Administration (NOAA), National Center for Atmospheric Research (NCAR) and the National Institute of Standards and Technology in Boulder; United States Geological Survey and other government agencies at the Denver Federal Center in Lakewood; the Denver Mint and United States Court of Appeals for the Tenth Circuit in Denver; and the ADX Florence "supermax" prison and other federal prisons near Cañon City. There is also a significant amount of federal lands in the state, including 11 National Forests and four National Parks. There are also numerous private companies that have operations in Colorado that deal with the governmental agencies in the state. Denver's economy (Denver is the Rocky Mountain region's preeminent city), is based largely on its geographic position. Denver is the prominent city within 600 miles (the closest city of comparable size is Phoenix, Arizona), and Denver is fast becoming the strategic location for federal, high-tech, educational, commercial, financial, cultural, tourist, storage, and distribution services to the Rocky Mountain States. The city is also home to several large corporations in the central United States. The economic diversity at the city, state, regional, national, federal, and international level allows the state of Colorado to weather economic cycles soundly. 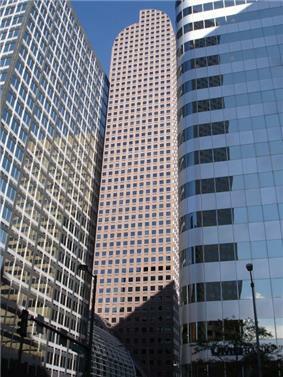 The Wells Fargo Center (also known as "The Mailbox Building", "The Cash Register Building") in downtown Denver. Geography also allows Denver to have a considerable government presence, with many federal agencies based or having offices in the Denver area. In fact, the Denver-Aurora Metropolitan Area has more federal workers than any other metropolitan area except for the Washington D.C. metropolitan area. Along with the plethora of federal agencies come many companies based on US defense and space projects. Lockheed-Martin and Ball Aerospace & Technologies Corp. are examples. Being the capital of the state of Colorado also gives many state jobs to Denver. Denver's position near the mineral-rich Rocky Mountains, encouraged mining and energy companies to spring up in the area. In the early days of the city, gold and silver booms and busts played a large role in the economic success of the city. In the 1970s and early 1980s, the energy crisis in America created an energy boom in Denver captured in the soap opera Dynasty. 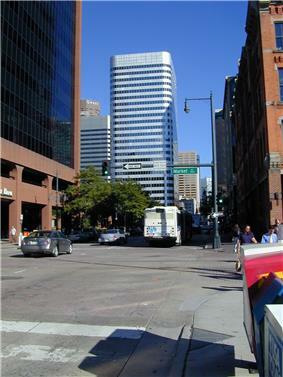 During this time, Denver was built up considerably, with many new downtown skyscrapers built during this time. Eventually the oil prices dropped from $34 a barrel in 1981 to $9 a barrel in 1986, and the Denver economy dropped with it, leaving almost 15,000 oil industry workers in the area unemployed (including mayor John Hickenlooper, a former geologist), and the highest office vacancy rate in the nation (30%). Energy and mining are still important in Denver's economy today, with companies such as Newmont Mining, Patina Oil and Gas, and Western Gas Resources. Colorado ranchers and farmers receive average payments per year totaling $316 million from the federal government including wheat subsidies averaging $79 million a year, corn subsidies averaging $78 million a year, total conservation-reserve acreage payments of $75 million, livestock and dairy subsidies of $10 million, and disaster payments totaling $47 million.